Headphone Amplifier of the premium Heritage series with audiophile DAC, asynchronous USB interface and dual amps for balanced output. 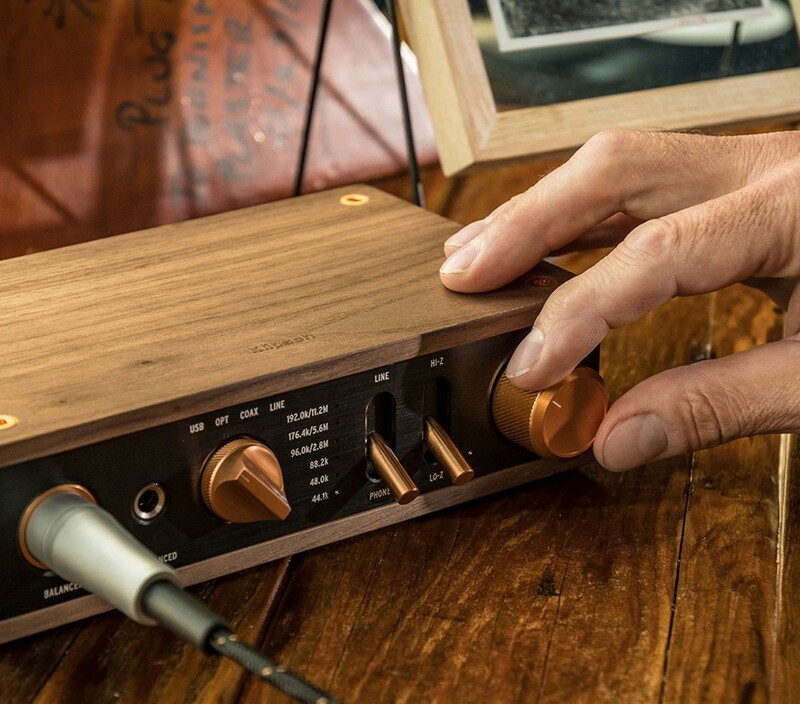 Klipsch Heritage Headphone Amplifier is encased in formed aluminum with genuine walnut veneer and exudes quality even before plugging in your headphones. All switches, knobs, and controls are weighted and anodised aluminum for great feel and tactile response. All analog switches operate through relays for the cleanest signal while maintaining a vintage feel. 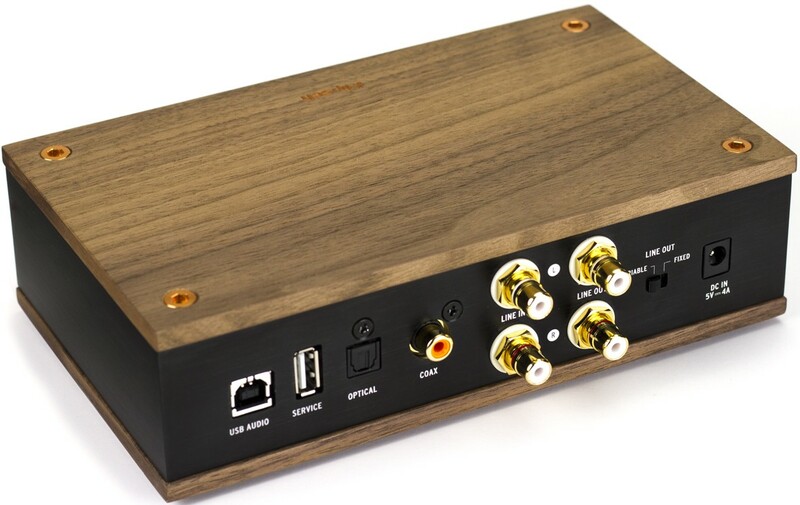 Driven at the core by a high-resolution ES90128K2M ESS Sabre32 Reference digital-to-analog (DAC) converter capable of 192kHz/24-bit sample rates, the Heritage Headphone Amplifier is the ideal 2-channel audiophile-grade DAC. Featuring ESS 32-bit HyperStream DAC architecture and Time Domain Jitter Eliminator, the amplifier delivers a clear sound and minimal distortion. 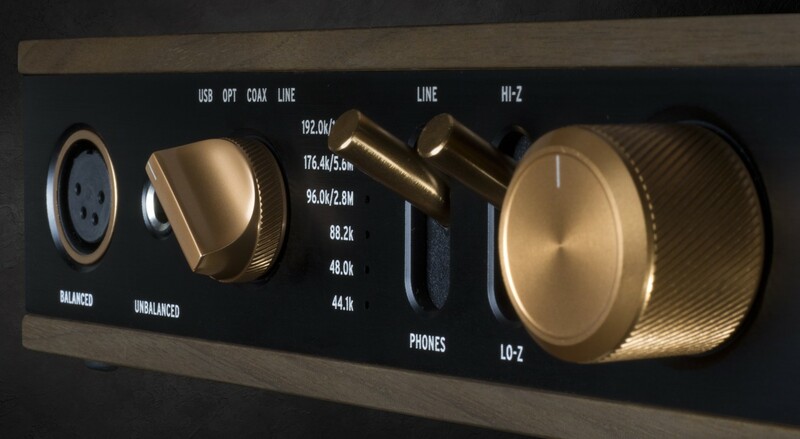 Built for the most discerning ears, the Heritage Headphone Amplifier doubles as an ideal processor of any digital source, whether the output is a pair of headphones or RCA line-out. 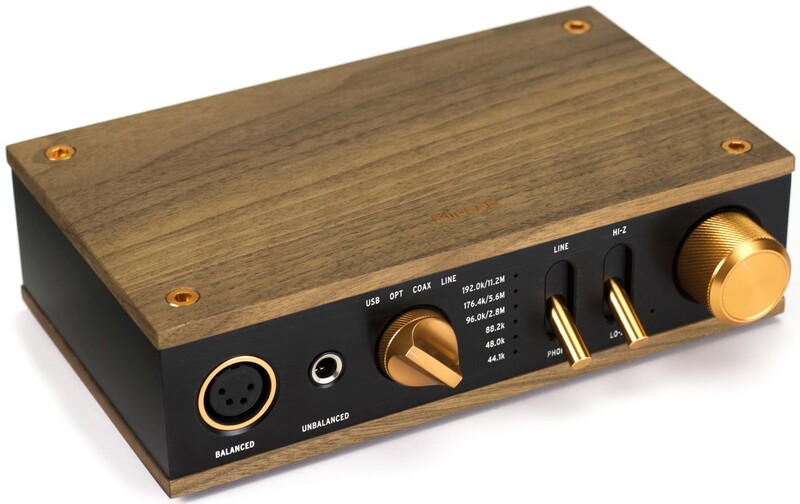 The Heritage Headphone Amplifier uses the XMOS USB audio receiver platform, widely regarded as one of the best solutions for transferring audio from USB sources. This allows the amplifier to lock the audio stream to its internal clock, keeping the audio stream as clean as possible. ASIO support is included for audio software that supports it. iOS (with Lighting to USB Camera Adapter, sold separately) and Android (5.0 Lollipop and newer) devices can also connect directly to the USB interface for lossless playback of content, bypassing your device’s digital-to-analogue converter. The Heritage Headphone Amplifier is intended to work as a digital analogue processor for USB audio, optical, and coaxial inputs. Beyond it’s primary use as a balanced headphone amplifier, it also works as a DAC for powered speakers, making it the ideal desktop companion. Toggle the output switch to “Line” and the amplifier will mute the headphone output and enable the line-out on the back of the amplifier. Flip the switch on the back of the unit from “Fixed” to “Variable” and you now have gain control through the volume knob on the front. 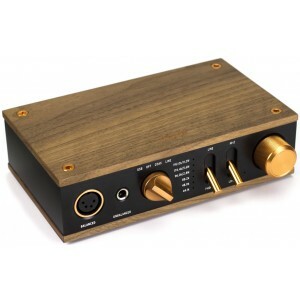 Heritage Headphone Amplifier is designed to maintain the lowest distortion in its class. To realize the full performance of the Sabre DAC, the signal path uses relays and analogue gain control. We coupled those elements with a highly customized circuit board layout and reference components. This amplifier will enhance the quality of any headphone or audio system plugged into it. Perfectly paired with the Heritage HP-3 Headphones deliver the legendary sound of Klipsch to its fullest extent. You're not just buying a pair of headphones, you're taking home a piece of American audio heritage that's backed by over 70 year of acoustic technology.